There is DIY and then there is DIY. This group intends to build an open source space suit for less than $1,000 in materials. A typical NASA suit costs about $12 million. Pacific Spaceflight is a small group of volunteers that has spent the last decade developing an open source, DIY spacesuit in their members' living rooms. This fall its creator will fly to over 60,000 feet in a hot air balloon, known as the Armstrong Limit, the point at which exposed body fluids will boil away if not protected in a pressured vessel. [A post on Medium provides a] deep dive into the story of Pacific Spaceflight and how to build your own spacesuit. There are two main types of spacesuits: Intravehicular activity (IVA) suits worn inside spacecraft, and those worn outside for extravehicular activities (EVA). IVA spacesuits are mostly there as a backup in case of an emergency, like the sudden loss of pressure in a spacecraft. This makes them inherently simpler since they don't have to account for things like radiation exposure and the gloves can just be rubber gloves similar to those you might use to wash your dishes. 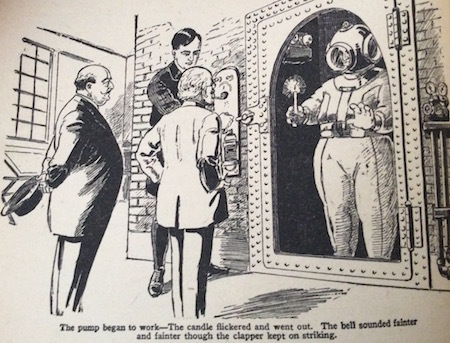 [...] Smith's first suits were made by modifying old scuba diving suits to fit his needs. Yet as he became more familiar with pressure suit design and his own requirements, he started to assemble everything from scratch. These days, he and the other Pacific Spaceflight volunteers cut their own fabric and pretty much make everything on their own or repurpose common household items as necessary (Smith said one of the few things the group can't make on its own is the suit's zippers).